One day I realized that while we could show customers the design on the screen, we didn’t have a way of showing customers how the design would appear on the shirt itself. I created a new template in our design program that would allow us to drag designs onto a t-shirt outline to confirm everything looked good. Long after I’d moved on, I returned to the store and sat down to have a shirt made. When the design program opened, what did I see waiting for me? The same template. I was so surprised. The work I had done all those years ago still guided how the team worked. This story came to mind as I read Jean Hsu’s “How to Lead by Noticing and Filling in Gaps.” Hsu details how leadership often emerges when individuals don’t just notice something that can be improved — a gap — but actively take steps to address it. The t-shirt template filled a gap in how we served our customers. 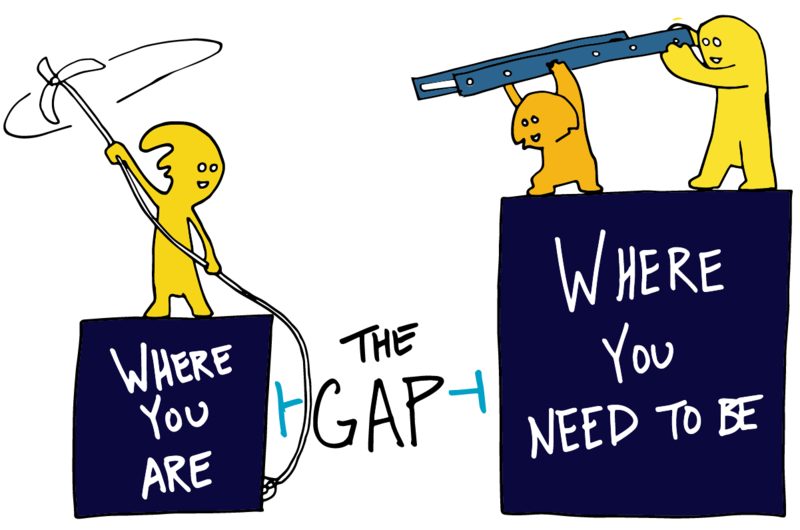 Gaps are all around is in our organizations. Every day, our organization changes. And this change introduces gaps, big and small. As managers, we can lead by stepping into these gaps and sorting them out. But equally important is equipping our team to do the same. It’s easy to assume not everyone is wired to take initiative in such ways, but I find the reality is that our teams often require context to move forward. “People don’t step into these gaps for all sorts of reasons: it may be out of fear of stepping on other peoples’ toes, or because they think they’re the only one who is having trouble, or because they assume someone else will figure it out,” Hsu writes. To help encourage this behavior, Hsu recommends posing questions that solicit clear feedback. Examples include: What’s the biggest challenge we’re facing? What do you wish you knew more about? What gaps exist in our current process? What should we start doing, and what should we stop?